I have a super-fun birthday – New Year’s Eve! This year, it was a pretty laid-back Saturday. 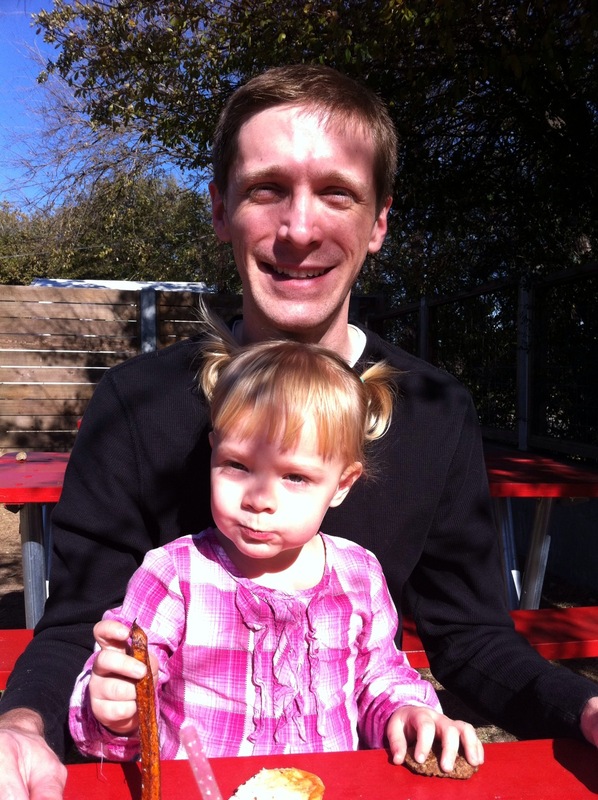 The weather was amazing, and we went out to lunch at an outdoor organic burger place with a big playscape. Then, I went shoe shopping. I went in to DSW with the intent to replace my trusty Converse All-Stars, but I was distracted by some tan cork wedges. The wedges won, and my current Chucks will have to last another year. For a special dinner, I decided on sushi. 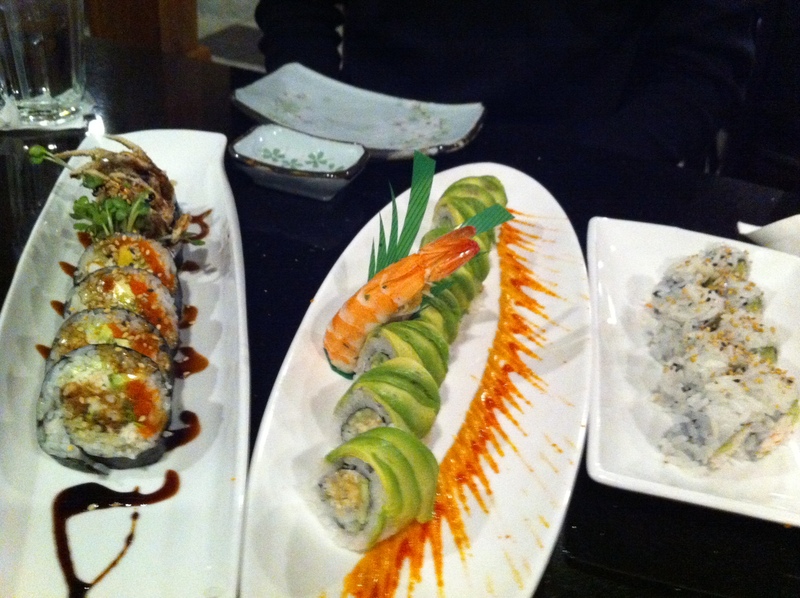 The rolls were beautiful – one California roll, one with shrimp, avocado, and a spicy sauce and one with fried soft-shell crab and eel sauce. The California roll was supposed to be for Hannah, but she wasn’t a fan. Instead, she liked the one with the crab. She ate the long fried crab legs like they were french fries, and the eel sauce was a little sweet which I think she liked. We just peeled off the nori, and she dug in. Partway through the meal, Hannah announced to our waiter that she loved him. 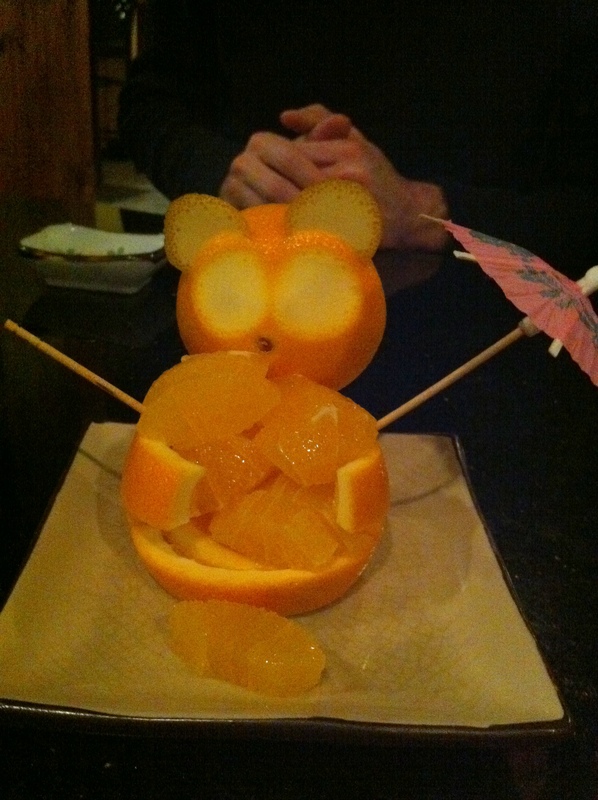 He came back with an orange carved like a panda bear holding neatly-segmented orange slices. Amazing! 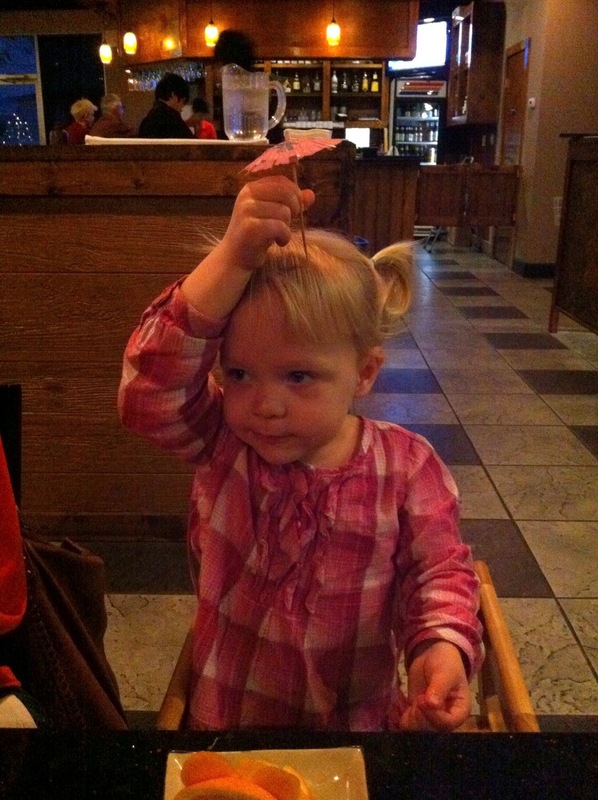 The tiny umbrella was also a hit. I can’t believed she liked the spider roll. Even I won’t eat that! I do love eel sauce, though… super tasty. Glad she liked it, and I’m glad you had a happy birthday. (Finn won’t touch sushi, but he does love tempura and rice). Love the bear! Looks like fun!